Megan Shockley and Rachel Steinhoff led their team in scoring each finishing with eight points with Shockley adding a team high four rebounds. 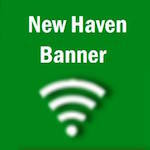 Mexico quickly erased New Haven’s one point halftime lead, scoring eight unanswered points, while New Haven went scoreless until the 2:45 mark. Instead of going into the fourth quarter down by five they found themselves down by seven after Mexico easily scored two points after New Haven failed to get back on defense. Those two points proved to be costly. New Haven battled back in the fourth quarter after making a run of their own, scoring five straight points to pull within two (24-22) but had they not given up the two points at the end of the third quarter, it could have been a different ballgame. Mexico fended off New Haven to advance into the winners bracket where they will face the number one seeded Hermann Bearcats. New Haven will have a late night on Wednesday, getting stuck with the 9 p.m. game when they will take on Wellsville.